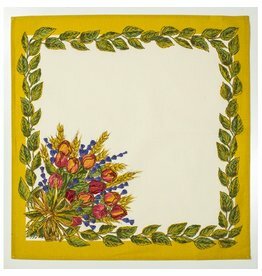 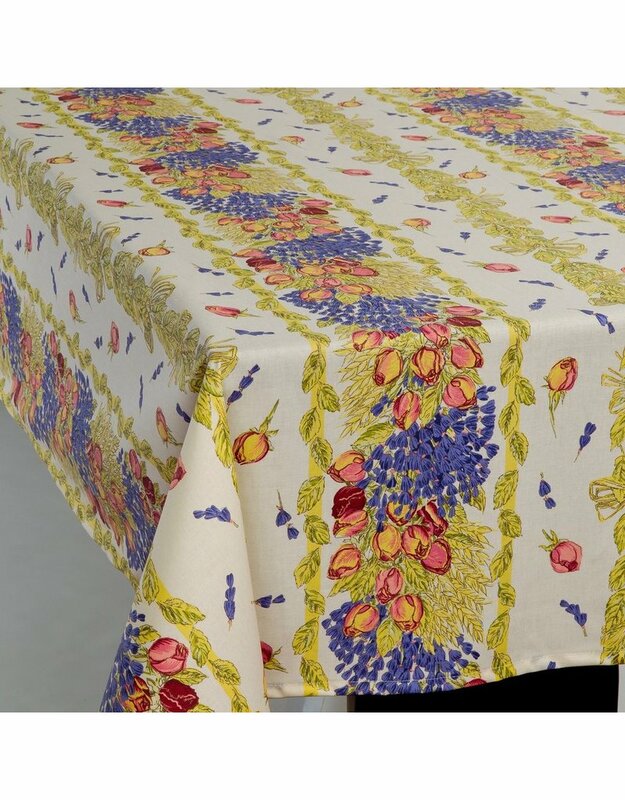 Garlands of roses and Provence lavender run across our Rose Lavande tablecloth. 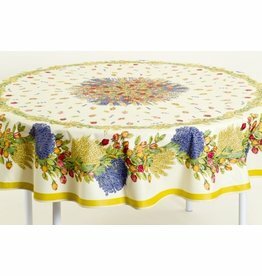 Enjoy a glorious garden all year round; straight from France to your tabletop! 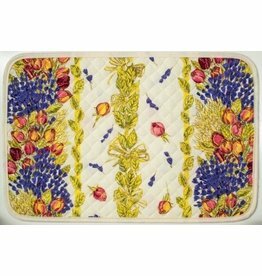 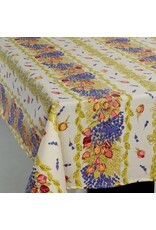 This pretty floral pattern looks beautiful on both indoor and outdoor tables.